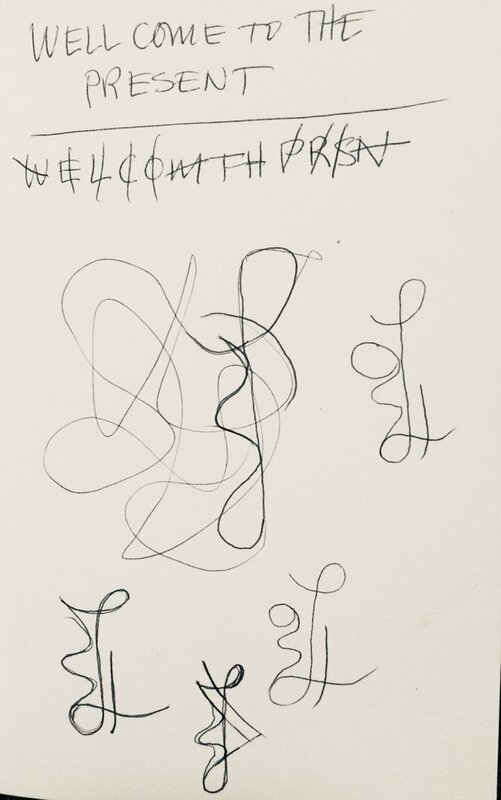 Wondering if you're still up for doing that Sigil for me ? No worries if you can't do this now, just want to check. Can you clarify exactly what's on offer for free/trade please ? When i saw that sigil on facebook I was quite awestruck by it but then you said your offer was to actually make a unique one based on whatever I want to encapsulate in the sigil - please let me know which one. What I could trade with you is my sales/marketing services if you want that, I can explain further how that works if you want to explore. I can simply do the sigil itself - the black and white symbol - and for that I just need to get the positive statement of intention from you. OR, I can make it into art which may be what was awe-striking. however, if you just want the black and white symbol - that would be FREE - and it works on it's own - because you would just redraw it, color it in, and hang it up for your subconscious mind. The process of redrawing it and coloring it in, would be where you would be embedding it in your subconscious. You will need to do that anyway - whether I embed it in art or not. But I still love to do them - and so I started offering them for free just because I enjoy doing them and I enjoy the interaction I have with the people that I do them for. I am willing to just do them for free, BUT if you feel moved to help me out with "marketing" - or at least - just describing your experience in written form - - that would help - because one day, I would still like to make a living doing art for people. People ask me to describe what I do as an artist, and I just do not have a way to answer them in a few sentences so they understand - that would be a big help, if someone could help me with that. I’ve seen many different art posts from you on FB but the one that grabbed me was the one you did about valentine's day, that was the one where you made the generous offer of doing this for free. So, I'd like to go for option (2) please. You also mentioned previously about being able to help me formulate the statement of intention if needed - well I would like a bit of help there please ? I would really like the whole thing to encompass the idea of a gentle invitation to be present with a somewhat soft, feminine touch. I have had a great tendency to be harsh upon myself in the past which is the toxic masculine and this has hurt me, the warmth of the Divine feminine resonates with me from the perspective of this artwork. And i'm sure that this in itself will work with and release the Divine masculine. Tolle's work has really helped me to understand the incredible potency of subtle forces. So that's what i'm after please. Please feel free to let me know your honest thoughts or questions. Regarding your marketing requirement, bear with me a wee while and I will look through your work a bit more. I too do not do 'cut & paste', I want to spend some time getting to know your work so I can write something that conveys the essential spirit of your work. i have had this problem - my astrological sign is air so i am a thinker more than a doer and I can think I know all the bad things are going to happen, but my solution is that I have the consciousness of the presence of God in every moment, so even if I get into a brain-storm, I just pray and then I know that I will receive the help I need. In other words, i am not alone in the present. The Creator is with me every step of the way and all I need to do is ask for help, and I receive it - i just have to look for the answer. I used to think I had to plan for the worst case scenario. Now I know I don't - I just need to show up and pray for help and I will activate my 6th sense. Maybe that's what you need to know - that in the PRESENT moment, the Divine Spirit is also present with you, available to guide and protect you. "I am present in the moment, with The Divine Spirit, protected and guided." Thanks for the offer of that intention but just as I sent you that message I realised that actually i've captured everything I need in "presence" so I want to keep it to that, it's sweet and simple. So my intention is to be present. And I want a picture that conveys a gentle invitation for me to enter the present moment. Even as I sent that message I realised that when I wrote it in block caps BE PRESENT, that has a certain aggression to it. When I tried meditation practice I would try to force myself to stop thinking, my whole life has been about hard, force, density etc. Allowing myself to let things go is so much more healing and soothing, and with letting go I can allow myself to be present. Hope it makes sense. And take as long as you need btw, open timeframe far as i'm concerned. so "I am present" then? More like an invitation to enter the present moment. hmmm, let me reflect on that a bit and i'll get back to you. I guess my intention is to "be present" rather "I am present", the latter is more of an assertion but I want something that invites to "be present". I am invited to be present ??????????? Ok, I think I got it - "welcome to the present" - and a drawing that conveys it in a light-hearted, humorous way with a subtle feminine touch (I grew up with toxic masculinity all around me), that would be great. See here he is controlling the drawing!!! OMFG - the drawing is not controlled - it comes out to reveal what is in the aura... oh well, I am going to deal with that when the time comes. When i'm daydreaming, off into the past/future and I look at this piece of art, I want something that kind of reminds that I was dreaming again and if I get that in a light-hearted, humorous, subtle way, then that is something I would sincerely consider an invitation rather than the harsh scolding which is reminiscent of the old me that I want to let go of. Does that work for you ? Do ask if you have more questions.??? So here goes - and in Green Language - Well Come To The Present - should work.